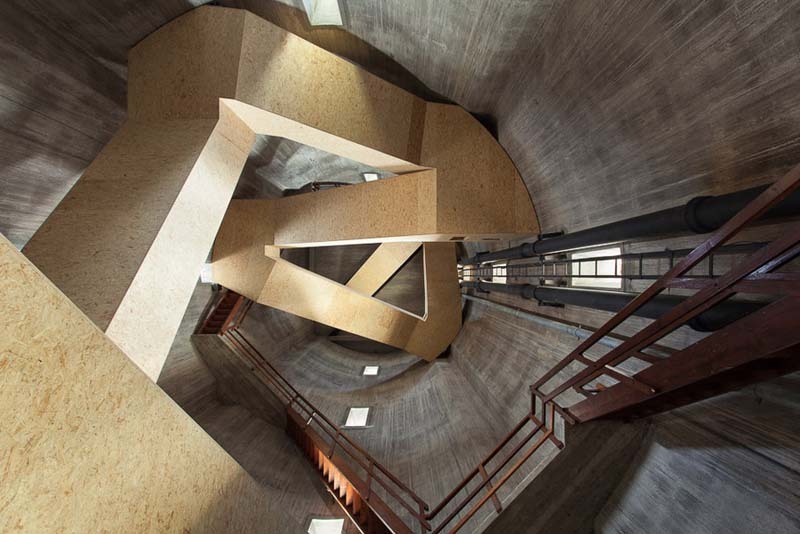 One could certainly say there’s an MC Escher quality to the dramatic staircase designed by Zecc Architecten for the transformation of the Sint Jansklooster Watertower in the Netherlands into a watchtower. The Dutch architects converted the water tower situated in the middle of a nature preserve, into a “route architecturale” (architectural route) leading up to a spectacular 360 degree view of De Wieden. 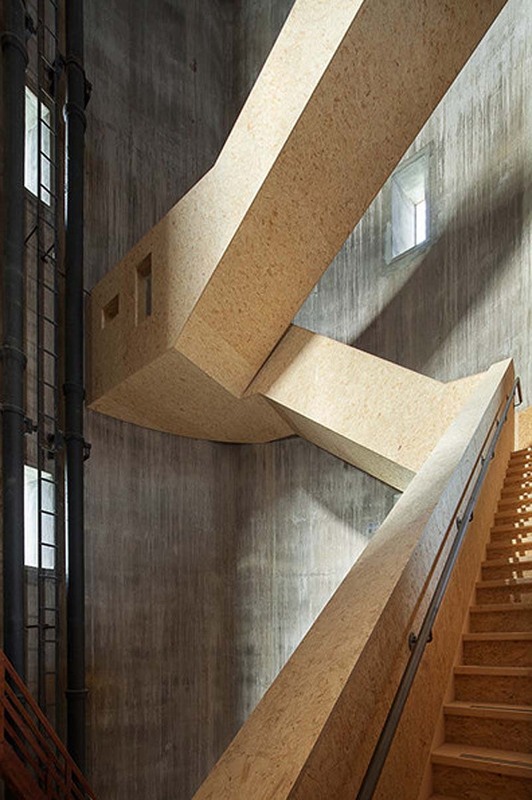 The repurposed tank still contains the original steel staircase that intertwines with the new and functional wooden one. 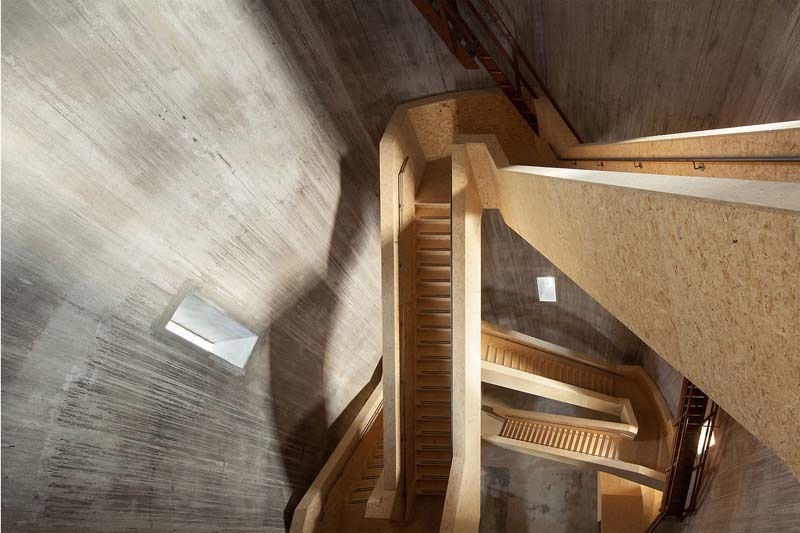 The newer steep, angular staircase contrasts nicely with the smooth cylindrical walls, and the warmth of the wood with the coolness of the concrete. Visitors are rewarded for their long trek upstairs with a spectacular view which has been enhanced by the addition of four large windows.